The small notice in the Yorkshire Dales visitor newspaper caught my eye: “Gaping Gill Winch meet. Experience the thrill of being lowered down this huge natural chamber by bosun’s chair and discover a hidden underground world”. As a hill walker I knew Gaping Gill was a pothole somewhere on the route up Ingleborough hill. What I hadn’t realised was that twice a year caving clubs give visitors the opportunity to descend over 100 metres on a winch down into Gaping Gill, a trip that is usually off-limits to non-cavers. An idea formed in my head, taking in the descent of Gaping Gill and the ascent of Ingleborough, the second highest hill in the Yorkshire Dales. The rest of the family were in agreement. Well, at least with the cave descent; I forgot to mention the hill walk until much later. 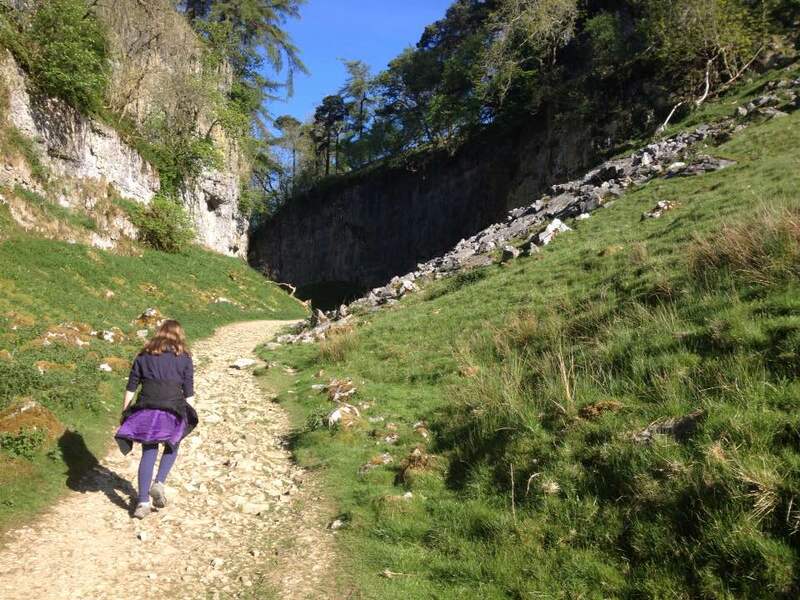 Pop over here to read more about the rest of our family walk up Ingleborough. Fast forward two days. It’s 7.30am and we’re in Clapham, the nearest village to Gaping Gill. Small groups of walkers are emerging from parked cars. They’ve obviously read the same warnings as us. Arrive early if you want to guarantee a place on the winch! The walk from Clapham to Gaping Gill, through the woodland of Ingleborough Estate, past Ingleborough Cave and up Trow Gill gorge took about 1.5 hours. It was a pleasant enough walk in the early morning sun but my excitement grew tenfold when the pothole club basecamp came into view. 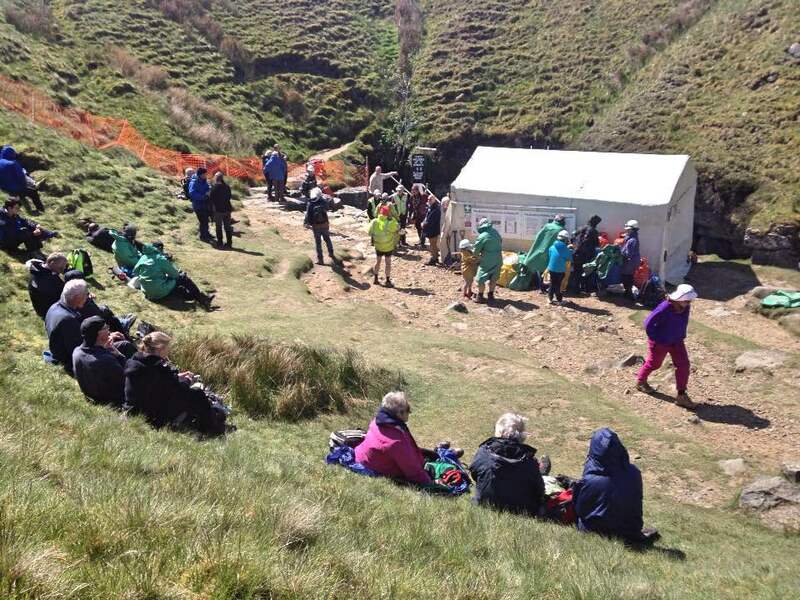 At basecamp there were already quite a few people waiting to go down Gaping Gill. Each return trip takes about five minutes so there’s a maximum of twenty visits or so an hour. Without further ado we headed straight to the main tent to sign up, hand over our monies and collect our numbered token. Fortunately the weather was lovely so we relaxed in the sun and watched others descend whilst awaiting our turn. The cave attracts a wide range of people; the groups in front of us included a 91 year old man and young children (7 years+). One lady sat in the winch chair but changed her mind at the last moment. It was a brave decision but I felt a little sad on her behalf. Without fail, everyone who returned to the surface was smiling! Whilst waiting I read about the history and exploration of the cave. Gaping Gill was first explored in the 1800s; John Birkbeck diverted the waterfall which drops over the shaft and was lowered by rope into the cave. His rope wasn’t long enough to get to the bottom but the ledge he reached is still known as Birkbeck Ledge. A French explorer, Edouard Martel, finally reached the cave floor in 1895. Subsequent expeditions have even managed to link Gaping Gill to Ingleborough Cave although this is not possible at present. A couple of hours later our numbers finally appeared on the board. We climbed down the ladder and were briefed on the descent. Our instructions consisted of keeping our legs still and not swinging around in the chair. Easy for me, but I made sure my son knew this too! My other half went first, followed by the children, and then it was my turn. I was a little apprehensive, but mostly excited when I took my place in the chair. It’s a slick operation and before I knew it the sliding platform drew back and the long descent began. My first thought was how close the edge of the cave was to my knees. So close that you think you are going to hit them. I sat very still. It gets dark after a few seconds and then you can hardly see anything at all. I felt the spray of water from Fell Beck. This waterfall normally falls into Gaping Gill but is diverted during the winch meet. Even so you still get a few drops coming your way. Long after my senses had processed all of this we were still going down. It’s a long way down. Longer than I expected. As I reached the bottom of the Main Chamber I became aware how much colder it was below ground. Leaving the chair I carefully picked my way across the rocky ground to where the family were waiting. 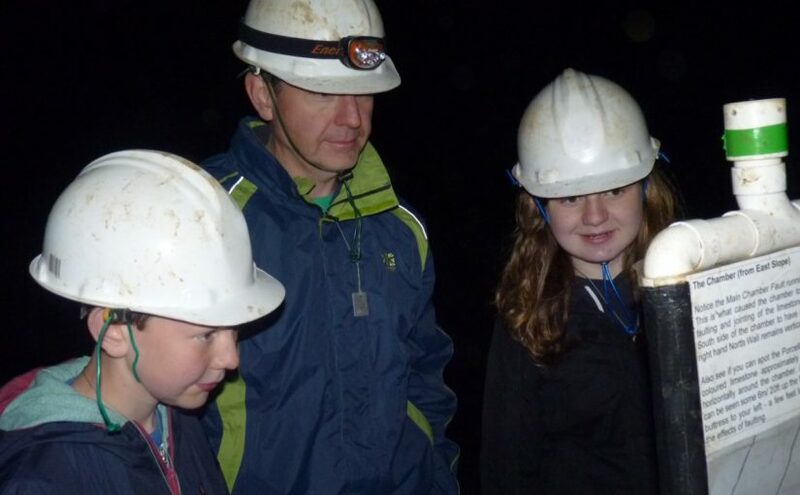 Although the cave has some lighting, and we wore head torches, it takes a while to acclimatise to the darkness. Even in the dim light it’s soon apparent how big Britain’s largest natural chamber is. Huge! 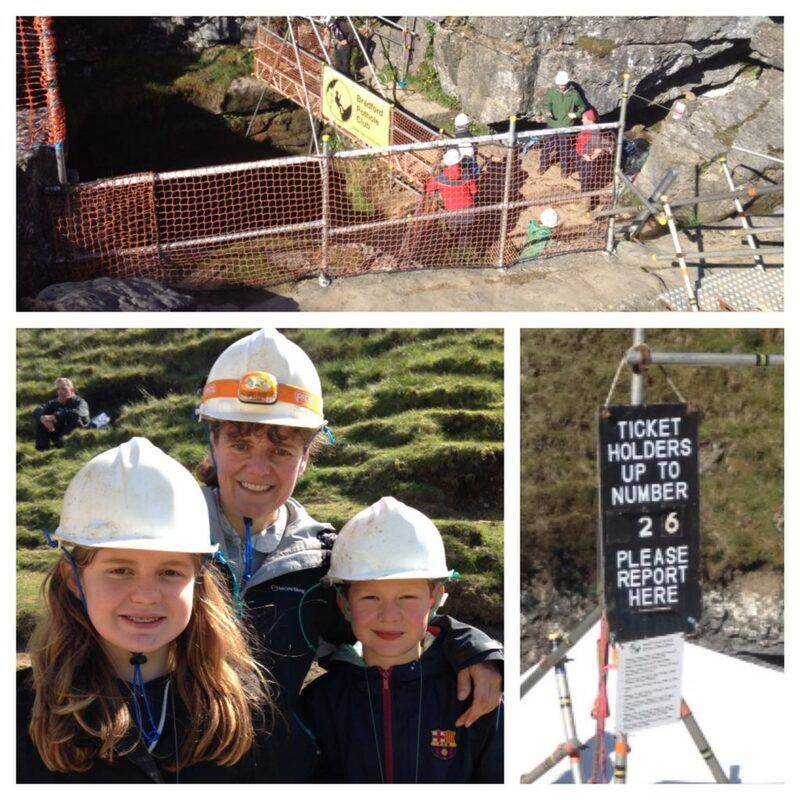 The caving club has set up a couple of floodlights and information boards to help visitors. We made our way from one side of the chamber to the other, peering into the nooks and crannies, and standing for a while on the aptly named mudbank. We watched as some proper cavers climbed East Slope and slowly disappeared from view into another passage. 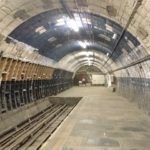 There are more than 16km of passages underground and although I’d quite like to try caving my biggest fear would be getting lost. 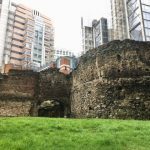 Once we’d explored the main chamber we queued again for the return. It was mesmerising watching others ascend into the bright light above us. Impressively one of the cavers made his own way back up using just a rope and leg power. We took the easy option, propelled upwards by the winch. Heading up it was much easier to see the cave walls and almost as much of a shock to emerge into sunlight as the darkness was on the way down. If you get the opportunity I highly recommend the trip down Gaping Gill. Slightly scary, but perfectly safe, it’s an experience you’ll remember for the rest of your life. 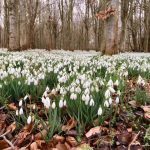 If you’re visiting the area you might also like to read about my top 5 highlights of the Yorkshire Dales; it’s such a beautiful part of the world! 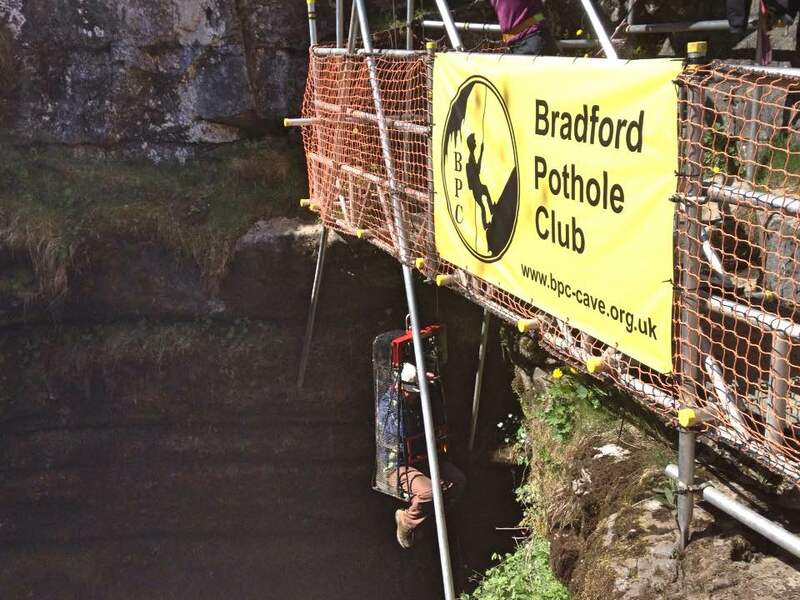 Gaping Gill winch is operated by Bradford Pothole Club in May half-term and Craven Pothole Club over the August Bank Holiday. Check the caving club websites for operating times. 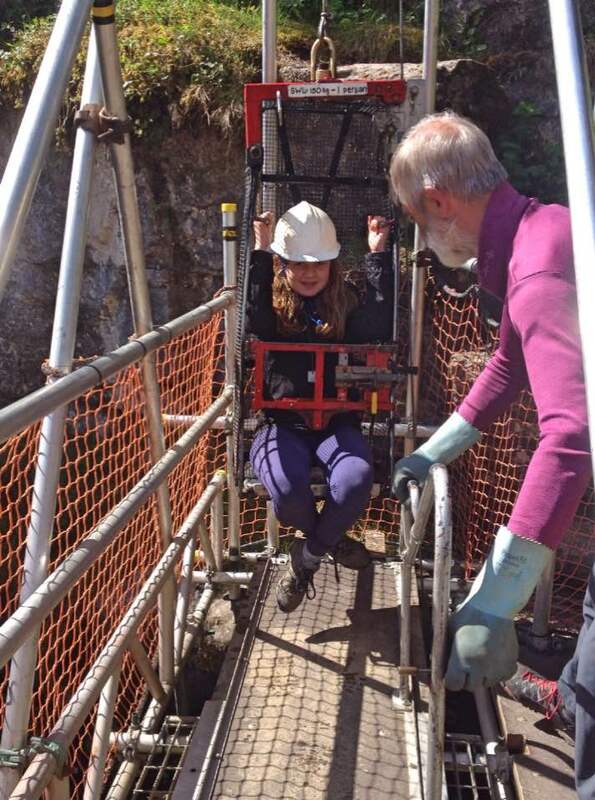 The descent costs £15 per person; it is not possible to pre-book so arrive early. 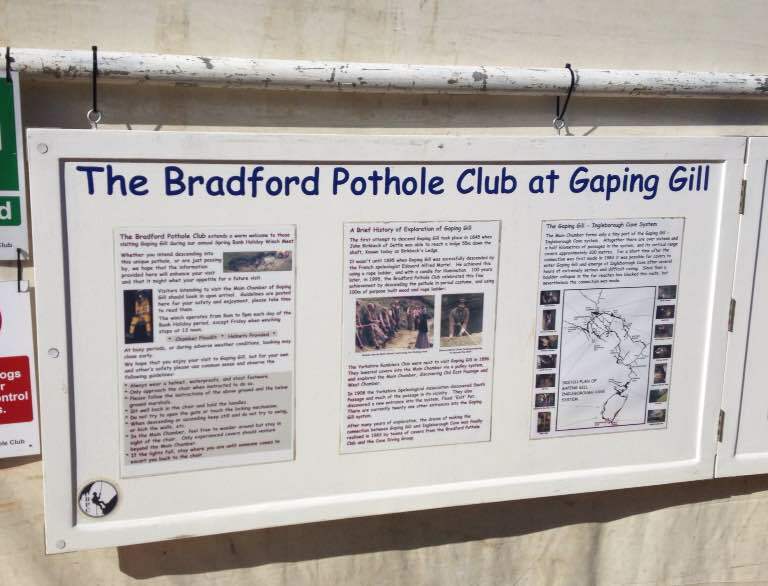 There’s a comprehensive guide to Gaping Gill on the Bradford Pothole Club website. Gaping Gill is inaccessible to non-cavers except during the winch events.Heed the warning signs around the edge of the entrance. 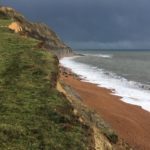 One volunteer pointed out a grass ledge where people take photographs; it is very dangerous! 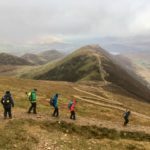 Take waterproofs, a head torch and some snacks to eat whilst you’re waiting. There is a basic field latrine but no other facilities. What a fab experience for the four of you, it’s not often you get to visit somewhere like this unless you’re an experienced climber. The descent sounds like as much of an experience as any other part of the day, I don’t think I would’ve had the nerve to get into the chair though, heights and me don’t always get along. The kids look like they really enjoyed the experience were they keen to come back and try again? I’m sure this is the place I visited on my school residential camping (many years ago). Such a wonderful experience and something you’ll all remember. This looks like an incredible experience. 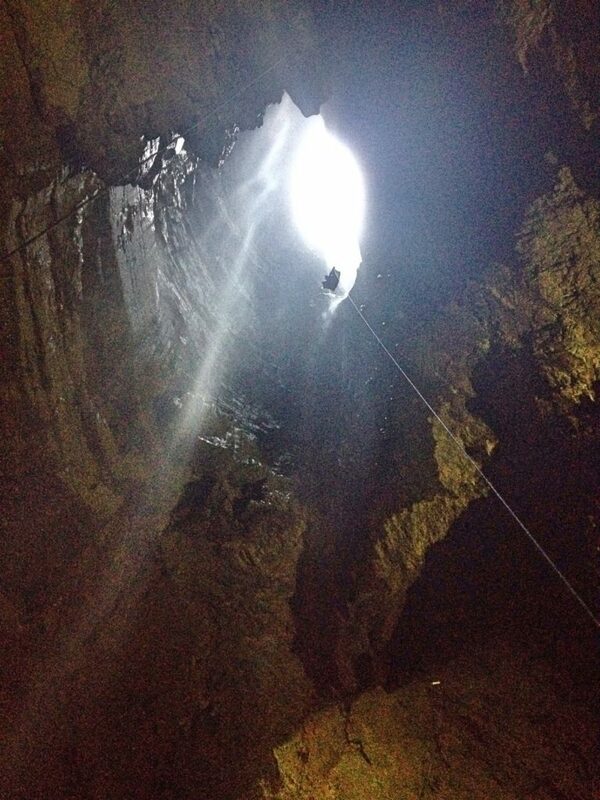 There were some caves near where I grew up, but they aren’t anywhere near as deep as Gaping Gill. I’d love to take the kids when they’re a tiny bit older. What a fun activity to do with your family, even though a little scary! Enjoyed reading about the Gaping Gill adventure. Thank you for sharing it at #MondayEscapes. I think I enjoyed it more as it was an unexpected thing to be able to do. I think I’d only ever go caving with someone who knew the caves really well. This looks so much fun! One for the bucket list for sure. We’ve done a similar thing in the past in Mexico. A cent in the Mexican jungle, You had to rappel down and then were lifted up on a very crude basket type seat, which was hoisted up by essentially a couple of Mexican guys holding the other end of the rope and running into the jungle. Scares me just remembering it! Now that sounds much scarier! I didn’t have any worries about the Gaping Gill descent but I’m not sure I’d go down your one. Having said that, I probably would have in my 20s but I’m a bit more nervous (sensible?) now. Ooooh, breave you! I wouldn’t be so sure if I would go down by a bosun’s chair to discover the underground world. Well done, especially the kids! It looks much scarier than it really is. Just don’t think about what might go wrong! Thanks Fiona. Definitely a long drive from Cornwall! It was nice for us to go somewhere a bit different as most of our holidays have been in Scotland, Cornwall or Pembrokeshire over recent years.